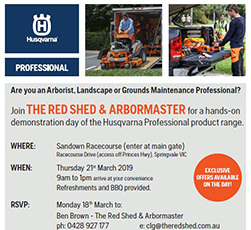 Are you an Arborist, a Landscape Professional or a Grounds Maintenance Professional? 2018 Wrap Up and Happy New Year 2019! 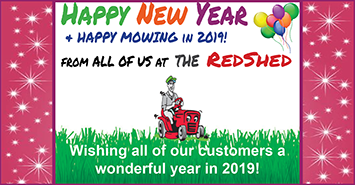 2018 Wrap up from the RedShed and Bring on 2019! 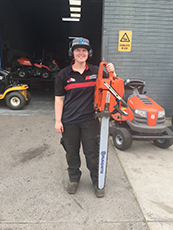 The RedShed is the Place to Go for the servicing of your outdoor powered products!! Trailers for your Ride On Mower. Do you have a big garden to clean up or many animals to feed? The Red Shed have GREAT trailers for Ride Ons ready for YOU to TOW away!